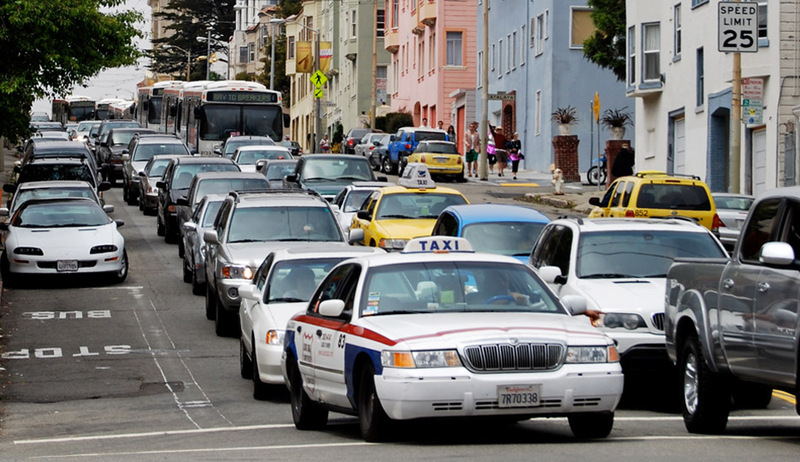 The San Francisco County Transportation Authority (SFCTA) sponsored the Mobility, Access and Pricing Study (MAPS) project to explore the feasibility of managing congestion, reducing greenhouse gases, and supporting sustainable growth through congestion pricing. The Study evaluates the feasibility of both cordon and gateway congestion pricing options and different toll levels. The project included an extensive public outreach program, market research, technology assessment, financial and economic analyses, and legal and institutional analyses. The project concluded that both cordon and gateway pricing schemes are potentially viable. CHS Consulting Group was responsible for the transit analysis. CHS worked closely with SFCTA modeling staff and their SF-CHAMP model on the potential effects of congestion pricing on the transit modal split, load factors, and speeds for both cordon and gateway congestion pricing options. The transit analysis covered the SFMTA (Muni) system and five other major regional transit systems. CHS also participated in stakeholder outreach efforts and public workshops to present study findings.